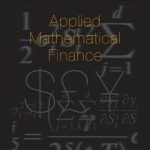 This Applied Mathematical Finance special issue is open to any paper that develops mathematical methods and models for relevant problems in commodity and energy markets as detailed in the scope of the CEMA Annual Meeting 2017. AMF encourages the development of novel ideas in the field and those that help to understand commodities as a unique asset class and their role in financial markets. Conference participants are encouraged to submit their papers to this AMF special issue. Presenting at the conference is not a requirement for submission. AMF takes papers from October 1 to 31, 2017. This is to allow prospective authors to incorporate changes following feedback received at the CEMA Annual Meeting 2017. All conference participants are encouraged to submit.